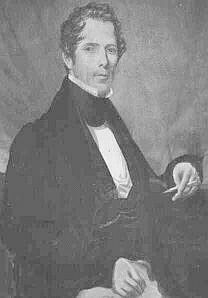 Hiram Langdon Nourse, Sr. (44), the son of Benjamin Franklin Nourse and the grandfather of Ruth Abigail Nourse, was born in New England in 1795, and bred a merchant. Apparently of delicate constitution, he went to Georgia about 1830 seeking a warmer climate. A cotton buyer, he served on the Board of Temperance in Columbus, GA in 1830 and in Apalachicola, FL where he settled the next year. About 1840 he spent a year in Italy for his health, traveling through Marseilles, France according to a French passport dated 6 August 1841 (Native of the United States/Profession: Merchant/Eyes: Blue/Color: Pale/Nose: Effete). His obituary in the Apalachicola Commercial Advertiser (November 25, 1850) mentions his ardent temperament" which despite the difficulties that accompanied it "led him to be gentle, benevolent and generous to all mankind, and affectionate and true to his friends." An intelligent man, he worked hard once he was convinced to take on a project. In 1835 the Supreme Court determined the true owners of the land on which Apalachicola was built, deciding in essence that the whole population were "squatters." Hiram took the lead in persuading the owners to be generous with those who had built and invested in the town, and spent much of his own money in improvements. Because of his efforts, wharves and levees were built and fine houses constructed on streets that had once been quagmires at every high tide. He also fought against the establishment of a rival town in nearby St. Joseph. Hiram Nourse's business, which depended on water transport, was deeply hurt by the coming of railroads and plank roads, and to support his family, he became Collector of the Port of Apalachicola in 1840. He tried to revive trade between the town and the Spanish West Indies. At one point he was a Commissioner in Columbus, GA. Disliking the political world, he resigned his post early when opponents were elected to office in 1844, and left Apalachicola to move to Pascagoula, MS and finally to New Orleans, LA. where he rebuilt a large business and made a home for his children, who included Hiram Langdon Nourse, Jr. During his final summer of illness, his doctors advised to find a cooler climate, so he was carried to Amherst, NH. He recovered enough to make a visit to Boston, where he died in August 12, 1850. Watercolor portraits of him and his wife show they had large eyes, and Ruth O'Bryan's nose resembled his. A marble bust records his strong eyebrows and chin. Abigail Hancock Merritt Goodwin (45) was born in 1808 in Scituate, Plymouth, MA, the daughter of Mercy and Malachi Merritt (90). 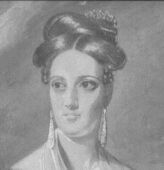 Benjamin Goodwin was her first husband and she remarried at age 28. But she kept close ties with the Goodwins in Maine. Since her son Hiram Jr. was born there, perhaps she moved back to New England to have her baby so they could care for her and her new son after his birth. After her death, the Goodwins took in the orphaned children, including her son John. 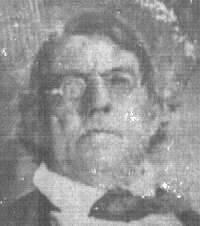 Hiram Langdon Nourse, Jr. (22) was in his teens when his parents died and only lived 33 years himself. 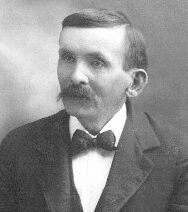 He was born in Orrington, Maine in 1837 instead of Georgia, where his family had been living. After his mother's death, Hiram Jr. moved to New Orleans to become a printer and publisher. His great-grandson John Winfred O'Bryan later practiced the same trade. In New Orleans, Hiram and his wife Kate Haner lived on Rampart Street in 1860. They had two sons who died young and four daughters who lived to adulthood. 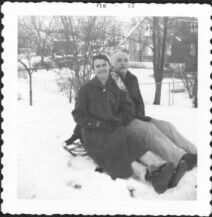 They went to Vermilion Parish with their mother and two of them married O'Bryan brothers. 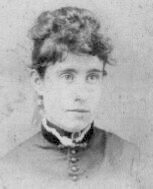 Catherine A. Haner (23) married Hiram Langdon Nourse, Jr. on her 18th birthday, January 12, 1860. 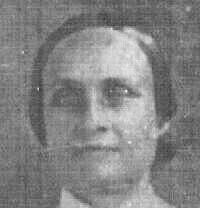 She was the daughter of Jacob Anthony Haner and the sister of Mary Elizabeth Haner. 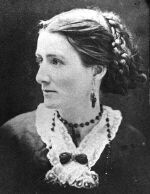 After her husband died in 1871, Kate moved from New Orleans with her daughters to Vermilion Parish to teach school. In 1883, she was tutoring the late Daniel O'Bryan's youngest sons. Kate was one of Vermilion Parish's first public schoolteachers, receiving her teaching certificate on September 20, 1880. She taught first grade, piano and mandolin. Her daughter Dora E. Nourse O'Bryan and granddaughter Kate O'Bryan were teachers as well. With her second husband, a widower named Dr. John T. Hamblett, Kate dispensed prescriptions at his drug store in Perry, LA on the corner of Main and Cypress, which was destroyed by a fire started to burn out a wasp nest. Her granddaughters, who would have included Ruth O'Bryan, enjoyed watching her comb her long chestnut-colored hair. After Dr. Hamblett's death, Kate lived with her daughter Jennie Putnam in Houston, where she died in 1915. Her children became acquainted with the Episcopal Church as children, according to her daughter Jennie, but Kate's funeral in Abbeville was held at the Methodist Episcopal Church. Her large portrait hangs in the hallway at C.D. 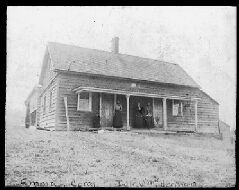 McGinnis' home. Ruth Abigail Nourse (11), the mother of Ruth O'Bryan, grew up in New Orleans, where she received a Testimonial of Merit from her teacher at Live Oak Public School. ) She was the sister of Dora Elizabeth Nourse, who married Clarence Daniel O'Bryan, who was her husband's brother (and Louis P. O'Bryan's father). Her father, a descendant of Salem witchcraft martyr Rebecca Nourse, died before she was six. She attended the Episcopal Church, and probably learned to play the piano from her mother. Her sisters, brothers and mother all used personal calling cards for social occasions. Her daughter Ruth O'Bryan remembered that her family used to enjoy singing around the piano as their mother played. The O'Bryan family shared other cultural pursuits. A pencil drawing by 10-year-old Ruth O'Bryan became a bookmark in a multi-volume set of literary classics. 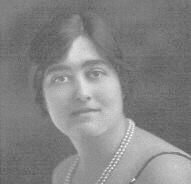 Though historian Perrin wrote that Ruth Abigail Nourse had become a "staunch Catholic" like her husband, he was wrong. After Oliver died in 1905 his children were raised Episcopalian. She died at 6:30 am, Thursday, May 30, 1912. The funeral was held at her home at 204 Moss Street in Lake Charles, LA, and she was buried the next day at Orange Grove Cemetery. Mary Elizabeth Haner, the sister of Kate Haner, married Col. James Daniel Edwards in 1866. Col. Edwards began as a Confederate private on May 26, 1861, in the Fourth Company of Washington Artillery under Capt. Eshleman. He was discharged seven months later by "special order No. 252" of the CSA Secretary of War, but reinlisted a year later, in January 1863. James lived through the battles of Manassas, Chancellorville and Gettysburg: all the famous conflicts of the Army of Northern Virginia. He rose to 1st Lieutenant in 6th Company of the Washington Battalion, Louisiana Artillery. He became Captain of Battery B, Crescent City White League, and his descendant Alessandro Allodi has his inscribed sword. In 1871, during what was called the "Carter War," James was acting Colonel of the Louisiana Field Artillery. After the Civil War, he owned the James D. Edwards Iron Works on South Front Street in New Orleans, which produced copper, brass and sheet iron, besides machinery for making sugar. 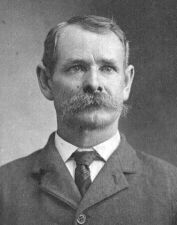 He died of Bright's Disease on April 2, 1887. His wife Mary Elizabeth Haner died many years later, on July 29, 1925, of "hypostatic pneumonia, dilatation of heart and intra-capsula fract of femur." Agnes Elizabeth Edwards was born ten months after the wedding of James Daniel Edwards and Mary Elizabeth Haner. With her husband Dr. Jasper James Bland of Yazoo County MS, she gave birth to three children, including Mildred Bland Lucas. Agnes and Dr. 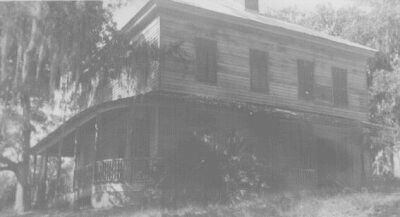 Bland settled in Beaumont, Texas, where they died in the 1930's. Their grandson Philip Bland Lucas was the father of Philip, Karen and Caroline Lucas, all born in Beaumont.